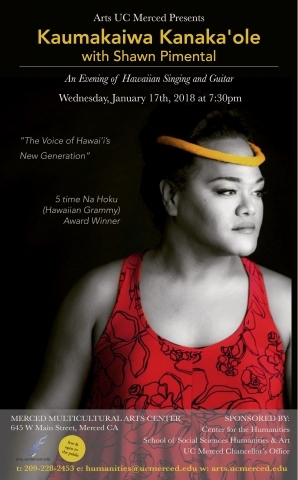 Celebrate the beginning of a new semester with a free concert by award-winning singer Kaumakaiwa Kanaka’ole and guitarist Shawn Pimental! Doors open at 7pm; Concert starts at 7:30pm. Free and open to the public.